One of the highest pottery innovations of all time is the Wedgwood Black Basalt. Since its innovation, this fine porcelain has been a huge commercial success. It is developed from reddish brown clay that burned black in firing. The ceramic body is quite superior in appearance and its body owed its richer color to the inclusion of manganese. The creations were inspired by original antiques mostly from vases in the collections that had been amassed by early collectors. The surface of this antique ware is smooth and quite lustrous. It has a purple black sheen that makes it stand out in the world of art. This amazing product has been in high demand and the Wedgwood antiques are still valuable up to date. Most collectors tend to focus on works of different designers rather than the pottery. The only thing that people ought to remember is that whatever they decide to collect in the Wedgwood Black Basalt range will be of high quality. The pieces are highly celebrated throughout history and it’s definitely something that one would wish to try out. The company is famous for its distinctive ceramics that are detailed with delicate ivory. To get the right materials from this collection, it is important for people to know how and where to buy the ceramics. The company has an official website where they display these beautiful antiques. They have an online store and display different ornaments for sale. Additionally, they have an online outlet with all sale products available for purchase. Shoppers should only go to shops like smaller tableware that sell this particular item. Those who are uncertain about the stores they can visit the home wares department and ask if they stock collections from Wedgwood. People can check out for online auction websites and look at the current review listings. Before any purchase, the buyer should ask the seller different questions about the same. 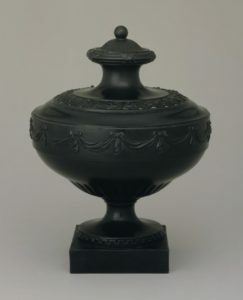 Ask for photographs of the Wedgwood Black Basalt piece taken from different angles and close ups. Additionally, look for cracks, chips and marks before purchasing the items. There should be no blemishes, defects or any other damages. It is important to check a seller’s reputation from various buyers and ask for a satisfaction guarantee. There are different collector shows and antique shops to buy the items. The best way is to give the collectors before you can have the items delivered. Sometimes one can be referred a different individual who stocks the same items. It is a great idea to buy the item from online retail shops. Correct identification of this Wedgwood Black Basalt and other pieces is very important. The color is fine black but can sometime appear like reddish greenish crust. To know if it’s genuine, feel the texture of the basalt. Remember that basalt is made from fine even grain with no crystals that cannot be seen by a naked eye. The surface can be quite dull when the basalt is freshly broken. Wedgwood items are without doubt unique and special. All one has to do is ensure they buy from reputable sellers. Never buy antique Wedgwood Black Basalt before feeling the texture and observing it closely.